How To Assess If You Are Making Fitness Improvements? You’ve been exercising and eating healthy for several weeks and now you want to see if you’ve made any progress since you started. There are many ways to check and see if you’re meeting any goals and getting the results you’re looking for. Let’s get this out the way right off the bat….you can weigh yourself on the scale, but this may not be your best option. 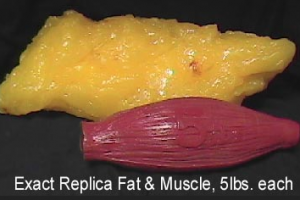 Scales measure your current weight and can’t tell the difference between muscle, fat, water, or food. It may take a month to start seeing results on the scale. This is when a lot of people will give up, thinking it’s not working, but this is when you must keep exercising and eating healthy. If you stay consistent you will see results, even on the scale in time. Are You Making Fitness Improvements? First, find a picture of what you looked like before you started exercising, then take a picture of yourself today. Stay consistent with your workout and nutrition plan and then take your picture again. Make sure to wear the exact same clothes for these recent pictures so you can see the difference, and also try to take photos of the front and side view to compare both. It’s more about inches loss, so you’ll start to notice how your clothes fit since you started working out. Even if the numbers on the scale don’t change much at first, your clothes should start to feel looser and you’ll start to feel better. Muscle weighs more than fat and it takes up less space, so as you lose fat and gain muscle, you’ll be losing inches in no time. Measure your resting heart rate before you get out of bed every morning for the next 3 months. If you’re not sure how to find your pulse, you can do this easily by following one of these two ways. On the side of your neck, put your second and third fingers about 2-3 finger widths below your jaw bone under your ear, or on the palm side down of your wrist. Don’t forget to record your number every day. If you’re consistent with your exercise and nutrition regimen, over time, you should see a drop in your resting heart rate. Have an official fitness assessment done to see if you’re making the progress you want . A fitness assessment checking your body composition will help you establish your current fitness and health levels. It can also help provide you with the motivation you need to set new goals for you and your health. At Time For Change Personal Training, you get a free fitness assessment, body composition analysis and basic nutrition consult with the purchase of any personal training package. My clients receive another check on these every four weeks to see where they’re at with making progress and meeting their goals. It’s important to see what area’s you’ve been succeeding at and which ones need improvement, so I can help you adjust your fitness or nutrition plan according to your results and goals. If you need help with improving your fitness, nutrition, and overall health, I can help you set up a plan so you can start seeing results. Click on the Time For Change Personal Training Services Tab to see what plans I offer and where to start.